Products Designed and Realized with Latest Technologies, 3D Printed Products and More. 3D printing technology allows to turn science fiction into fact by helping designers realize any form or shape without the restrictions of traditional mass production methods. The 3D Printed Forms and Products Award is an annual event with a global reach, open to both professional designers and business. 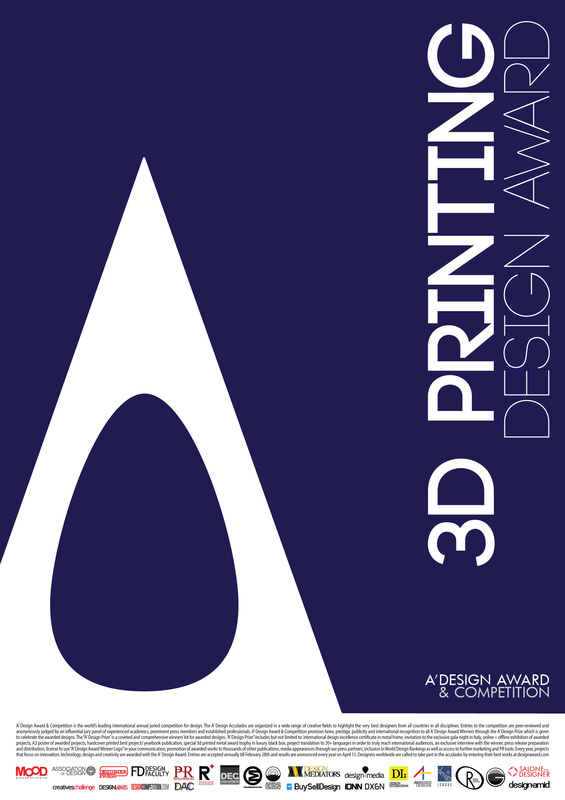 The A’ Design Award & Competition has a special role as a pioneer and advocate of 3D printing by being the very first design award to have its’ trophy realized in 3D printing of metal. The A' Design Award for 3D Printed Forms and Products is not just an award, it is the indicator of quality and perfection in 3D Form design, the award is recognized worldwide and takes the attention of design oriented companies, professionals and interest groups. Winning the A' Award is a certificate of excellence for designers, an important milestone in your career. Having the A' Award attracts the eyes of design oriented companies worldwide, winners will be able to find better and higher profile jobs & sales leads, get a step ahead in their life. The winners of the A' 3D Forms and Products Design Award are provided extensive and exclusive marketing and communication services to promote the success of winning the A' Award. Furthermore, the award winning 3D Form designs appear on the A' best designs yearbook which is available worldwide, this book is furthermore distributed to the high-profile magazine editors, design oriented companies and relevant parties. The award winning 3D form and product designs are also exhibited at our exhibition in Italy, and the best designs will be picked for the permanent exhibition. The winners appear on magazines, newspapers, webzines and many other publishing mediums. For concept stage projects, the A' Award is an early indicator of success. Having the A' Award gives added value to your products and separates them from the rest of commoditized goods; winning the award is the perfect excuse to communicate your product to the media, a reason for press releases. Each winner design receives the trophy, published online and are included in the best designs yearbook, award winners receive a certificate and sticker templates to be attached to their products, the A' Design Award Logo for design excellence is also included in the winners package, this seal is valid for the entire product lifecycle without yearly fees and can be used together with your communication. The best 3D product and form designs are considered for their degree of innovation, human factors, choice of materials, depthness of development, and technical properties such as ergonomics and economic efficiency. The 3D Product and Form nominations are considered for their texture, surface finishing and structure. For the 3D Product and Forms awards, we also give considerate amount of points for using the 3D Printing technology correctly; Products and forms that are impossible to produce using traditional production methods are especially highlighted for their correct use of 3D Printing technology. The product packaging, and aesthetics are also considered during evaluation of 3D produced products and forms. When submitting to the 3D Forms and Products Design Competition keep in mind that your submission will be evaluated on multiple factors, your design is judged together with its internal structure, overal aesthetics and protective packaging if any. For detailed and correct presentation guidelines please refer to best-fit design award category (i.e. for 3D printed jewelry for example, refer to jewelry design award guidelines instead). The aim of the 3D Design Forms and Products Award is to recognize talented and creative individuals who have embraced 3D printing as a production technology as pioneers of design, to attract the attention of design and innovation media, magazines, and industry leads to your business by means of creating publicity. The 3D Printed Forms and Products Award aims to recognize, celebrate and elevate designers, teams and businesses who have helped to create the incredible landscape of today’s 3D print industry through their hard work, dedication, expertise and investment of their time and efforts in 3D Printing. 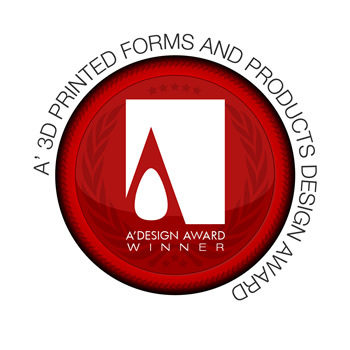 The 3D Printed Forms and Products award aims to separate you from the rest of the actors in the 3D Printed products sector by honoring your brand with a prestigious award. The 3D printing design award is open to entries of all 3D printed forms and shapes, excluding 3d-bio-printed designs; which shall be submitted to the Bio Engineering Design category. Furthermore, 3D Technologies and Innovations are not accepted to this category, and such designs shall be submitted to one of the following award categories: Radical Innovation and New Technologies, Design Quality and Innovation Award or Engineering Design Award. This category does not accept Concept stage products. Concept stage 3D designs can be submitted to 3D Design and Modelling award instead. Multi-material 3D printed works are accepted along with 3D products that can auto-transform or assemble. View previous period 3D forms design awards winners here. Main Image* 3600 x 3600 pixels JPEG High-Resolution clear shot or rendering of the product on white background. Optional Image #1 1800 x 1800 pixels JPEG A Shot or rendering of the work from a different view. Optional Image #2 1800 x 1800 pixels JPEG A Shot or rendering showing a detailed view or close-up. Optional Image #3 1800 x 1800 pixels JPEG Showing the product in a setting where it is used, or an action shot. Optional Image #4 1800 x 1800 pixels JPEG An action shot, where a user interacts with the product. Note: For further submission requirements of 3D Forms and Products category, you could refer to the specific non-3D design category that your submission would otherwise fit for. For example, if you design a 3D printed furniture, please check the requirements for the "Furniture Design Award" instead. For the complete list of categories, click here. 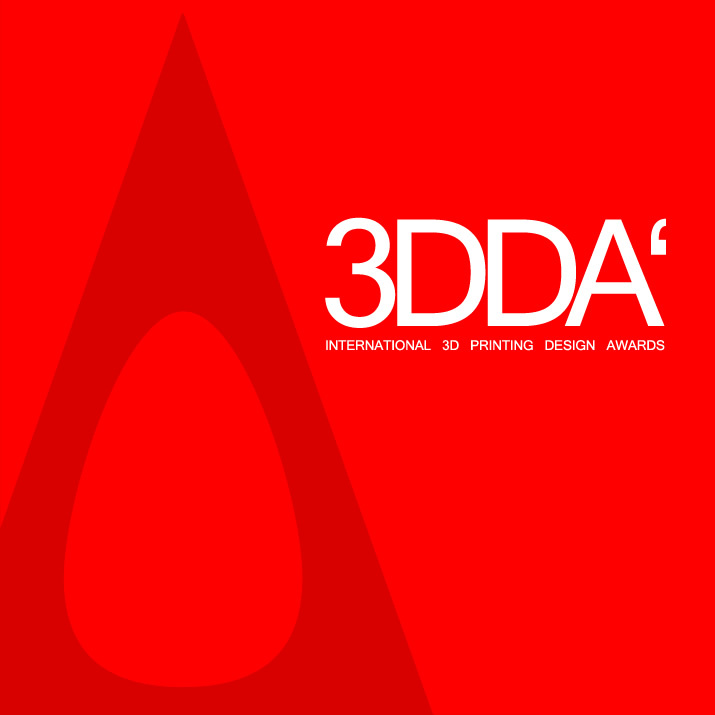 3DDA - The International 3D Printing Design Awards, is a major design award category part of A' Design Awards & Competitions. Enter your 3D printing design and concepts for fame, prestige, publicity and international recognition.